On the 1st of August, 1714, upon Queen Anne's death, George, Elector of Hanover became King George I of Great Britain and Ireland. He ruled until his death on 11th of June 1727 when he was succeeded by his son, George II. We are pleased to offer a range of fine antique sterling silver from the George I Period. All of our George I silver can be purchased online, or from our shop in The London Silver Vaults. At the time of George I's succession, It is said that there were over fifty others with superior hereditary claims, but George was the one selected mostly because he was Protestant and also because he was sympathetic to the Whigs, a powerful political group of the time. 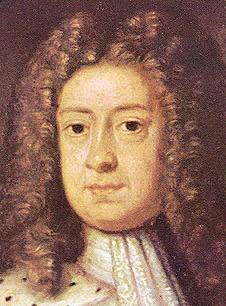 George I spoke only rudimentary English (his native tongue was German) and this hurt his popularity significantly. The main reason he was able to keep the throne until his death in 1727 was simply that he was considered better than the alternative, a Catholic Monarch with French sympathies. Under George I, the power balance between the Monarch and his Ministers continued its slide away from the king. Unable to speak English well and preferring to spend as much time as possible in his native Hanover, George interacted little with parliament. Instead, he left the main business of government to others most notably Sir Robert Walpole, creating in effect the first prime minister of England (although the title was not formally introduced until 1905). Early George I silverware generally continued the trend for the simple silver forms that were popular in the Queen Anne period. However, from about 1720, whilst Britain prospered both at home and abroad, we start to see slightly more elaborate silverware decoration and the beginning of the return of the rococo silver ornaments that would characterise the silverware of the George II period.